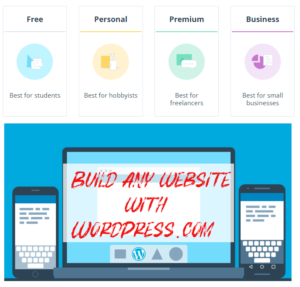 Are you planning to start a software development site with WordPress, Use these powerful WordPress software themes to build attracting site. A WordPress theme is a pack of various stylesheets, and PHP templates that predefine the way the website will look like for an average visitor. They are easy to implement and adjust to your taste. Most of the templates are divided into categories depending on the type of business they were built for. We’ve googled and found a tremendous number of themes that would suit a software company and we decided to choose six themes that we consider to be the most suitable ones. Here is a list of 6 premium WordPress themes to build attractive websites. The Divi Builder Drag & Drop Page Builder Plugin For WordPress. It’s a really compelling page builder that provides users with a wide variety of tools and solutions. It gives you an opportunity to adjust the front-end part of the site to your taste. You can be fine with coding or using a drag-and-drop menu to select and place web sections on the pages. A page builder allows you to organize split testing for the pages and see which design performs better. All customized sections can be saved and reused in the future. You can test the demo version to see if it’s good for you. The yearly plan will cost $89 and the lifetime access will be $249. Simplicity is the motto of this template. You have over 200 various blocks that you can place on the pages of your site. And you have over 35 off-the-shelf site templates with a pack of all required pages. You can pick up the variant that will suit the image of your software company and offer site visitors a good experience. This theme is built with a Redux framework, you can find files that can be edited to adjust the look and behavior of the pages to the needs of your company. Creators offer to import the site from demo to a pro version with one click. It’s perfect for beginners with a limited budget. It also includes WPBakery Page Builder, Slider Revolutoin and IconsMind pack. It’s a powerful theme that will look good on the screens of any device. It doesn’t require having strong technical skills but it offers the opportunity to edit the code of the sections to make adjust them to the style of your software company. They have a Bootstrap code base that you can access from any device – there’s a good back-end part of the theme. As you can find in other cases, you have access to a variety of blocks and sections that you simply tick and place on the pages. Or you can choose ready websites and get started within a few hours. There’s GDPR compliance that will make your communication with the site visitors absolutely legal. It’s a highly customizable theme with a visual builder. Theme creators did their best to make the creation of a new website as simple as a pie. All the sections are retina friendly – you will get e perfect view with any screen type and resolution. You will see an easy drag-and-drop builder. For a quick start, you can use any of the ready websites or you can spend more time and create a custom pack of pages. The design of the website will be responsive – all the sections will be displayed in the right way on different screens. A regular license costs $39 for six months, you can extend it to 12 months for an extra $10.13. It’s an adaptive theme that provides you with a visual builder and another variant where you can adjust changes manually. There’s a user-friendly back-end panel based on Redux. 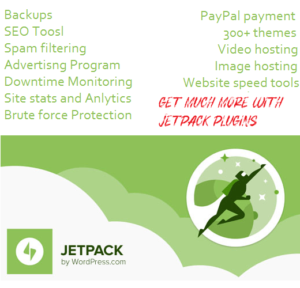 There’s a good choice of plugins to modify the website for your software company. Creators of the theme aimed to make it simple and the creation of the sites short in time. It’s compatible with most of the third-party plugins for e-commerce, email marketing and so on. You can add social media buttons and adapt the overall style to your needs. The cost is $59 – you get access to all sections, features and customer support. This theme is good for simple websites. The number of available pages is not so big but you will not get lost in their variety. Here you have a visual builder for fast work. No coding is required in this theme. Creators promise that your users will have a smooth experience when scrolling or viewing sections. Your site will have an adaptive design. This theme is perfect for those companies that don’t have much time to start the site. You can set everything up in a few hours. The price is $39. How to pick up the right WordPress theme for your company? There’s a strong myth that there are some specific themes for the software development companies. Of course, some themes were built more for portfolios or personal pages while others are supposed to be used for e-commerce. The above themes are good for beginners, small and medium businesses. They all allow you to manually edit the code blocks or use visual builders. Take a look at the price, at the variety of available sections and the overall impression from viewing the themes. They all have demo versions that allow you to test the key features and make the final decision. The shortest way to start the site is choosing off-the-shelf variants and if you wish to get a fully custom view of the pages, you can choose the adjustable variant.